Less than seven years after the Los Angeles riots, on the opposite side of the country, the New York City Police Department fired 41 shots at Amadou Diallo, a 23-year-old immigrant from Guinea. He was standing outside the entrance to his Bronx apartment building with his wallet in his hand. The officers claimed they thought Diallo’s wallet was a gun. All four officers were acquitted of second-degree murder. 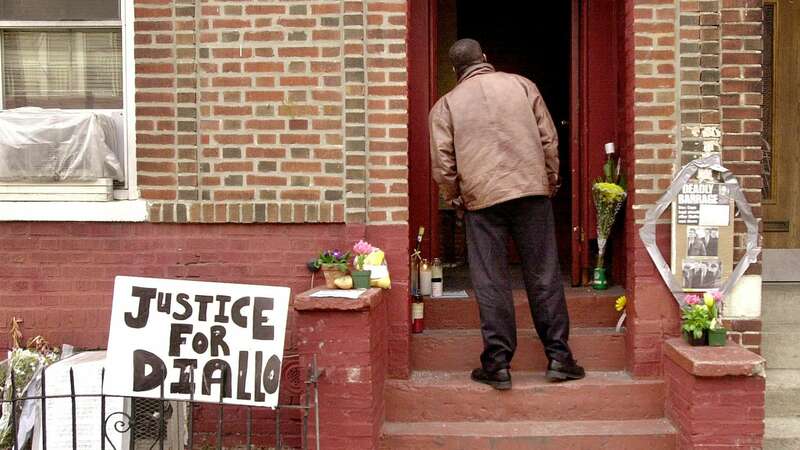 Today marks 20 years since Diallo’s death. Just as a riot breaking out in the second-largest city didn’t prevent Diallo’s demise, his death hasn’t moved the needle on cops slaughtering us in the subsequent decades. In fact, it may seem like we’re dealing with more police violence than ever before in the past decade, but that’s only because we can document and propagate everything now thanks to cell phone cameras and social media. Despite its manifold failings, social media does a fantastic job of holding folks’ toes to the fire in regards to accountability. It’s the only thing that allows the outrage of the masses to spread in mere minutes. In fact, the tragedies and their subsequent #SayHis/HerName social media awareness campaigns have occurred so often that we run the risk of developing emotional calluses to Black people getting senselessly murdered by the people who take an oath to protect us. It’s similar to how we’re becoming exceedingly numb to mass shootings. In the two decades since Diallo’s death at the hands of police, we’ve had Oscar Grant, Eric Garner, Rekia Boyd, Mike Brown, Laquan McDonald, Tamir Rice, Philando Castile, Stephon Clark, and on and on. Sadly, that list is not even close to providing the full tally of Black people killed by police violence in the last 20 years. While the L.A. and Ferguson riots were rage come unspooled, there have been countless peaceful protests across the country from angry and desperate souls seeking answers and retribution – or, at the very least, to be seen. Here in Chicago, folks have stormed busy city thoroughfares and interrupted Black Friday sales in popular shopping districts – only to be met with news of it happening again and again. Jason Van Dyke’s imprisonment over the murder of McDonald has very little precedent when it comes to police suffering the consequences of their actions. Damn near every killing of a black person by an on-duty police officer has resulted in an acquittal for the officer if the case ever even made it that far. When cops are convicted, it’s often a much lighter sentence than they would receive if they didn’t have a badge. If our next president serves two terms, Van Dyke will be out of prison for the second one despite the fact that everyone saw him slaughter a man on tape. Given the fact that lawmakers still haven’t managed to get behind gun control six years after 20 mostly white kids were slaughtered in their elementary school, it’s not surprising that the violent death of an innocent Black man at the hands of cops didn’t spark significant reform of police procedure not just in the NYPD, but nation-wide. How many Diallos will there be before we see real change?